The PEM System is an Eco-friendly beach erosion control technique, that has been used world-wide for more than a decade. 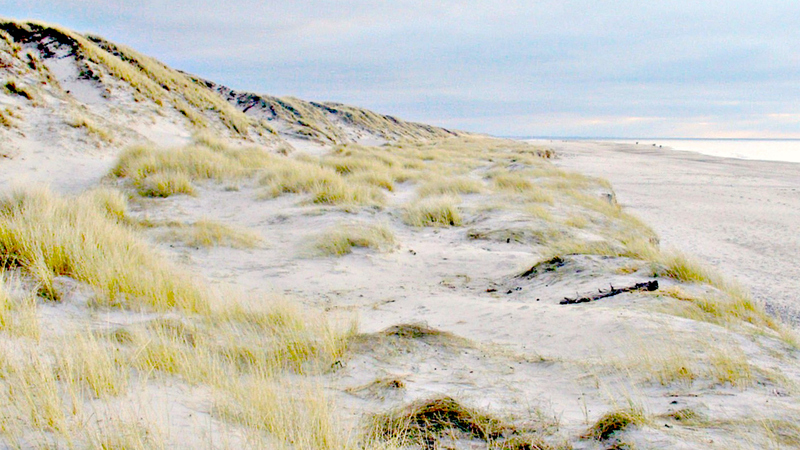 PEM may be used in combination with beach nourishment to retain sand, or as a stand-alone solution if enough sand is available in the beach eco system. PEM restores and enhances the beach’s ability to drain. More water will drain through the top layer of the beach causing extra sand grains to be deposited on the beach rather than pulled away by the waves. Sand will be transported by the wind further onto the beach and the dunes. Gradually the beach will grow. The cost of using PEM is lower than traditional erosion control. Many more miles of beach can be protected for the same amount of money. Having worked with PEM for many years you can't avoid being amazed how simple, yet effective the system is. Fig. 1 Once a highly eroding beach. 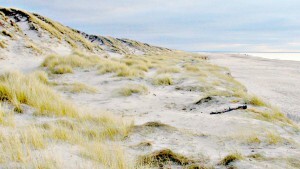 Now a growing beach with new dunes developing in front of the old dunes. What happened? Eight years before the photo was taken PEMs were installed in the beach.